Bella Jeter, a 7th grade student at New Albany Middle School, placed first in the middle school division of the College Savings Mississippi Art Contest. Bella was awarded a $529 MACS scholarship. 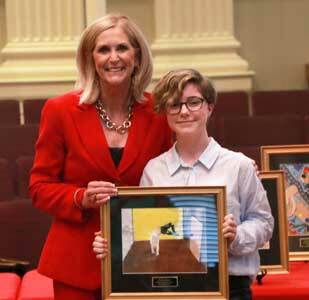 She is pictured with State Treasurer Lynn Fitch at the awards ceremony in the Old Capitol in Jackson, MS on April 4th. 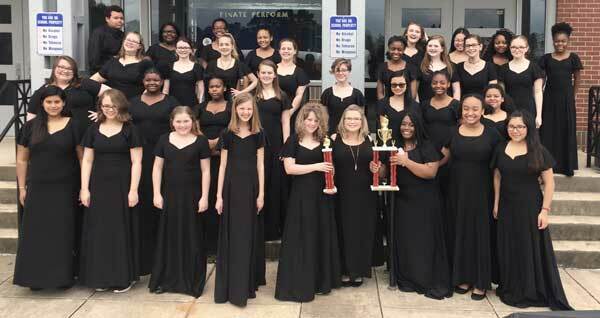 The New Albany Middle School Choir earned All-Superior ratings at the State Choral Evaluation held at Pearl High School on April 6.